This speaker can be used for not only general PA applications but also for playing you favourite music, you can connect your device (ie. Ipod, iphone or laptop) via audio cable or bluetooth. Each Speaker is supplied with a stand. 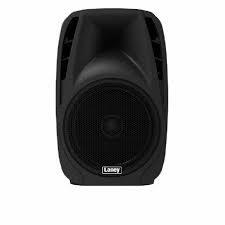 For larger functions multiple speakers can be linked together please call us for more information. These sound activated lights are modern versions of traditional derby lights; shining in a whole new way! The Razor features broader coverage than derby effects twice its size, using sharp, laser-like multicolour beams, shining through 48 groups of professional optical lenses. This light will punch through nearly any ambient lighting. Dazzling RGBW colour beams cross and rotate, illuminating the whole area in sparkling light. 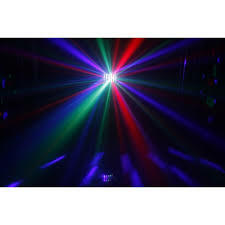 These lights can be set on automatic mode or sound activated mode to go with the beat of the music. Used for connecting multiple speakers together with extra device inputs. Gives the flexibility to the speaker to move around unrestricted. Provides a point for a speaker or lecturer.